A regular RM reader has presented startling information questioning the validity of the Australian law. The following letter provided by the late Sir Harry Gibbs is self explanatory. After spending some time with the group leader, I was able to elicit its primary intentions. will of the people incorporating a system of debit taxation which should go a long way to eliminating the current unemployment problem and also addressing other pressing social issues. An A.B.S. financial model supports the proposal. the above defence so I could use my legal expertise to play the part of the devil’s advocate. It should be brought to your attention that the group has access to documentation that we members of the judiciary have little knowledge. I refer to the British Parliamentary Papers for the Colony of Australia for the years 1860 through to 1922. For rest of letter see below. The Privy Council emails prove that no Governor General’s appointment was approved by Order at the Privy Council between the years 1982 – 2008. If those GG’s appointments were not approved by the Crown during that period, then what status has any legislation or bills passed during that time – did these ever receive any Royal Assent? flies in the face of contradictory evidence within the above mentioned papers and readily available historical fact. declaration of war against Germany made on behalf of the British Colony of Australia by George V of the United Kingdom in 1914. Prime Minister who was well aware of the change of status from a. colony to a sovereign nation. The later Statute of Westminster 1931 was an acknowledgment of that status. incredible authority that sought to overturn the authority legislated within the Covenant of the League of Nations in Article X and the Charter of the United Nations in Article 2 paragraphs 1 and 4.
nations at that time. He refers to Article 1 of the Covenant of the League of Nations. be supported by either legal opinion or indeed historical evidence. 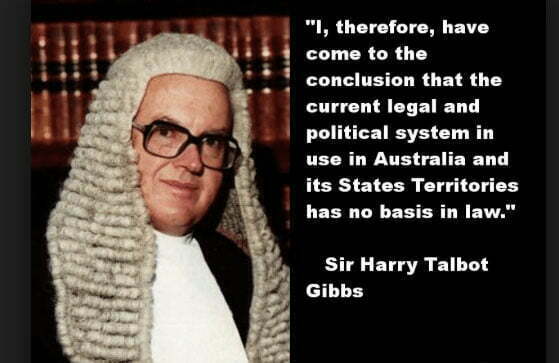 Australia and its States and Territories has no basis in law. Following discussions with members of the British Government relating to the Letters Patent for the Governor General and State Governors I find that these documents no longer have any authority. Indeed, the Queen of the United, Kingdom is excluded from any position of power in Australia by the United Nations Charter and is excluded under UK law from the issue of a Letters Patent to other than a British Subject. A Letters Patent must refer to an action to be taken with regard to British Citizens. The Immigration Act. 1972 UK defines Australian Citizen as aliens. Queen of Australia who suddenly becomes the Queen of the United Kingdom in the next paragraph of the Letters Patent. This Queen the gives instructions to the Governor General with reference to the Commonwealth of Australia Constitution Act 1900 UK. Here we have a clear breach of Article 2 paragraph 1 of the United Nation Charter. Under both UK and international law, the-Queen is a British Citizen. State Governors are in a worse position as their authority comes from the late Queen Victoria of the United Kingdom. Regardless of the validity of the Commonwealth of Australia Constitution Act 1900 UK, if the authority of Governor General and the State Governors is invalid then so is the entire political and legal system of government. When advised that the War Crimes Commission was taking an interest, I called them in Geneva. becomes their target. The group has already placed cases before them which they ate currently investigating. If found guilty, the penalties are horrific and include the death penalty! enjoyed as a colony without any change whatsoever to the basis for law. This point alone requires an answer. face the music. These matters are of concern to politicians, let them sort out these problems and accept any inherent risks themselves! refuse to hear a matter when an international treaty is cited as a defence.